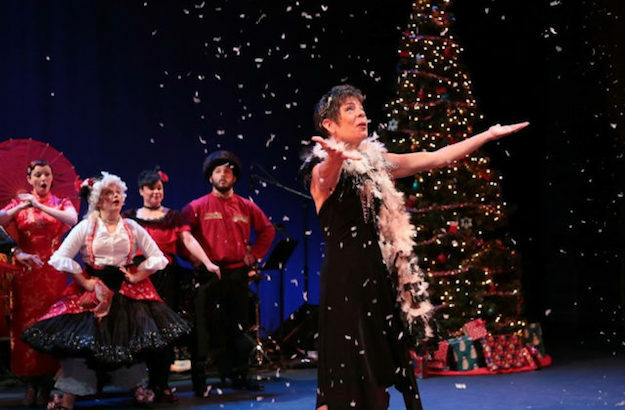 Tapestry Dance Company in Austin, TX will celebrate the holidays with its rhythm tap and jazz spin on the beloved yuletide story, The Nutcracker. This new Tapestry tradition, which premiered to rave reviews and standing ovations last season, will unite the company's professional dancers with the rising stars of its pre-apprentice youth company, Visions in Rhythm. Even the children, youth and adults who study at Tapestry’s dance academy will share their new love for rhythm and movement in this stage spectacular entitled Of Mice & Music: A Jazz Tap Nutcracker. Of Mice & Music is performed to a jazzed up version of the original Tchaikovsky score and beloved jazz classics. This delightfully entertaining musical score is played live by some of Austin’s best jazz musicians, including Masumi Jones on drums, Eddy Hobizal on piano and Michael Stevens on bass. Tapestry Artistic Director and National Tap Hall of Famer Acia Gray takes the Drosselmeyer role from the original story of The Nutcracker and evolves him into Ms. Bon Marche, a dance diva who introduces little Clara to a world of dance by giving her a pair of tap shoes. The journey begins with the Mouse King and his powerful style of contemporary rhythm tap, which leads an army of tapping mice in their battle against The Nutcracker Prince. Performances run December 13-23 at The Long Center. Best of all, the show’s only an hour long so that leaves you time to go shopping for those tap shoes! To book tickets, head to thelongcenter.org. Photo courtesy of Tapestry Dance Company.